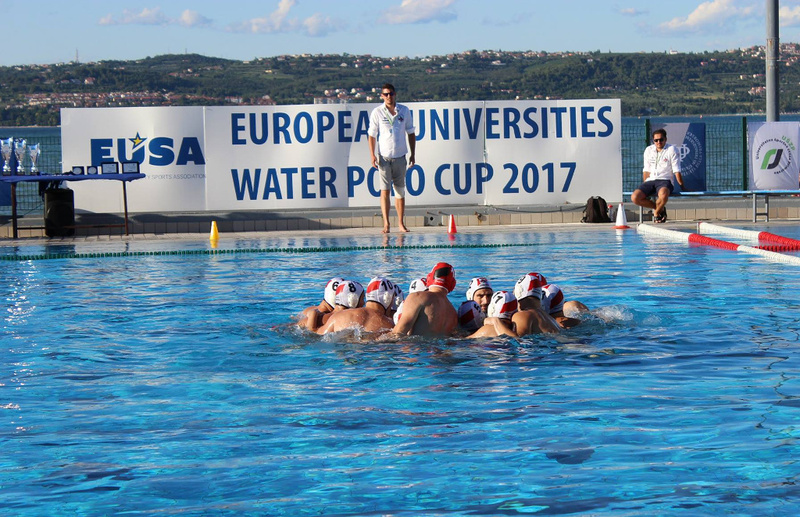 The first edition of the European Universities Water Polo Cup concluded on July 15 in Koper, Slovenia, hosting six male university teams from six countries within six days of competitions. 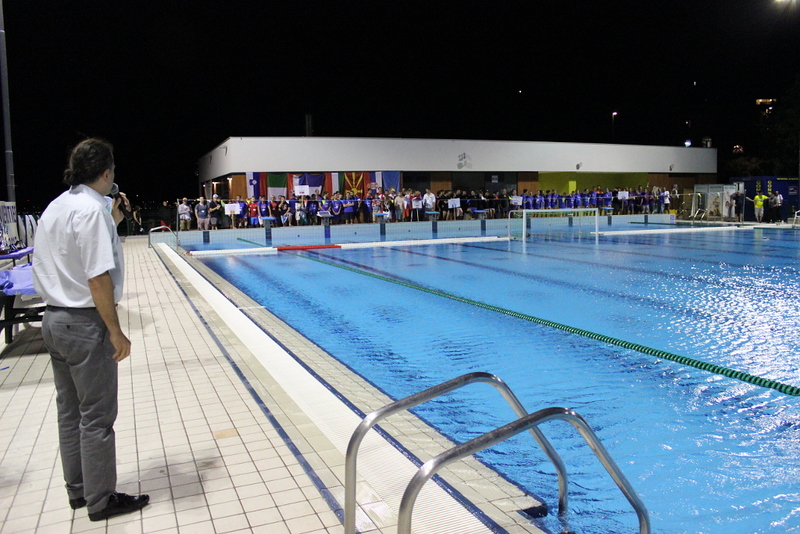 All matches were played in the Olympic swimming pool complex of Zusterna in Koper, in front of full tribunes, which confirmed the interest in university water polo also from the public. 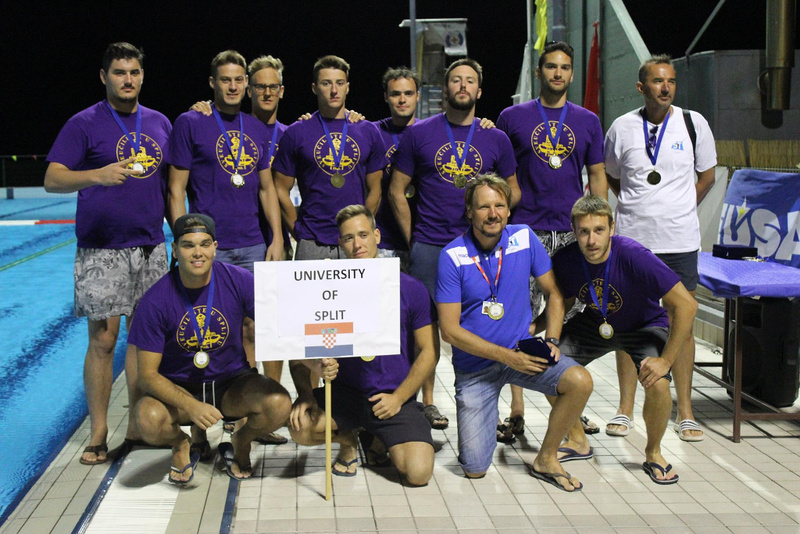 The first place was won by the team of the University of Split (CRO), which won all five matches and ended the only team undefeated in the competition. The home team of the University of Primorska (SLO) secured a silver medal after winning the University of Lyon (FRA) in the last match of the event. The awarding and closing ceremony followed after the final matches on Saturday. Athletes from the University of Split team were also awarded with three individual awards: Kresimir Butic was chosen as the most valuable player (MVP), Slavko Calic as the best scorer (19 goals) and Mario Podrug as the best goalkeeper. 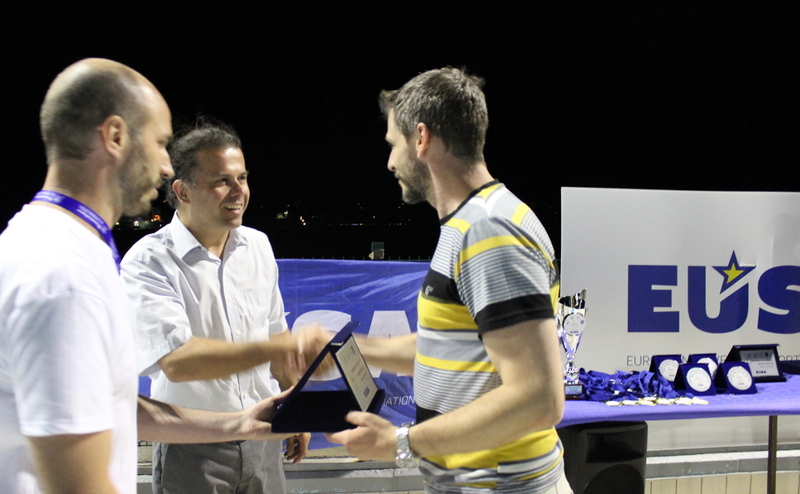 The prize for Fair Play was received by the St. Cyril and Methodius University of Skopje (MKD). The medals and cups were awarded by the Rector of the University of Primorska (UP) Mr Dragan Marusic, President of the Slovenian University Sports Association (SUSA) Mr Patrik Perosa, Communications and Projects Manager of the European University Sports Association (EUSA) Mr Andrej Pisl, President of the Students Organisation of the University of Primorska (SOUP) Mr Nassim Djaba, President of the Slovenian Student Union (SUS) Mr Aleksandar Spremo. Special awards were presented by the Vice-Rector of the University of Primorska Mr Boris Kavur, President of the Organising Committee Mr Marko Juretic and SUSA President Mr Patrik Perosa. EUSA Water Polo Cup 2017 was organised by the Slovenian University Sports Association (SUSA) and the University Sports Association of Primorska (USZP), with the support of the City of Koper, University of Primorska, Student Organisation of the University of Primorska (SOUP) and local partners, under the patronage of the European University Sports Association (EUSA).